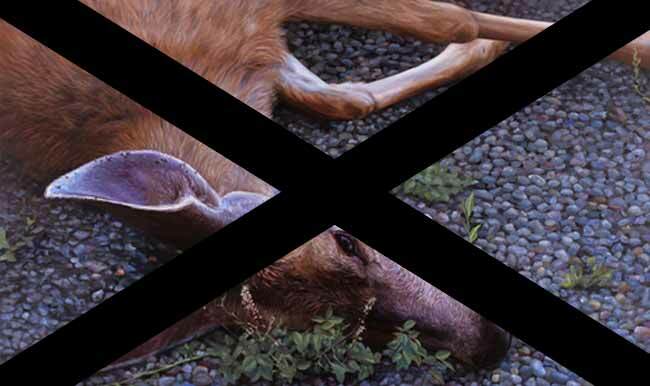 Under intense pressure from as yet unknown forces at RBKC we have decided to remove the content of the ‘Who Killed Bambi?’ post while we consider how best to respond to a second solicitor’s letter we received from Senior Solicitor Vimal Sarna at RBKC Legal Services on 3rd August. Some council officers are clearly very uncomfortable with the recent revelations we have been making about the current state of Lancaster West EMB and the Council’s role in undermining and disempowering it, and its’ parent body the Lancaster West Management Association. Clearly there are details of the history and relationship between RBKC, the TMO and the EMB which they would rather not have known or discussed publicly, and are prepared to go to considerable lengths to suppress our freedom of speech on these issues. Once again you have issued an ultimatum (4pm Tuesday) which demands an almost instantaneous response fom me. This is totally unreasonable. I would remind you that you took the best part of a week to reply to my letter of 29th July. I will respond to your five page letter of 2nd August as soon as I am ready to, and not before. Furthermore, I don’t accept your right to issue any ultimatum to me. I have already told you that I don’t accept that I have defamed any of the persons named, and I have strong documentary evidence to support the claims I made. I offered to share that evidence with you, but you have chosen to ignore that offer. This strongly suggests to me that the real point of this exercise, from the Council’s perspective, is to bully and intimidate the Grenfell Action Group rather than to confront any notional defamation of which you have accused me. You have demanded that I present my evidence to ‘the appropriate authorities’, but I don’t know who the appropriate authorities would be, under these circumstances, and it is proving far from easy to find out. I don’t believe this is a matter for the Metropolitan Police. I have tried on a number of occasions to persuade RBKC to act on my concerns, but was fobbed off every time. More recently I approached the Audit Commission and the Homes and Communities Agency, but they were uninterested and/or unable to act. I am now seeking legal advice. For whom exactly are you acting? Do you have authority to act on behalf of non RBKC employees? Finally, I also wish to know what you propose to do if I refuse to accede to your demands. Following publication of the expanded version of the ‘Who Killed Bambi’ blog we received no further solicitors letters or veiled threats from RBKC.